Visitor on walking track through broadleaf mahoe and kohekohe and fern forest. Mount Kaukau walkway trail. 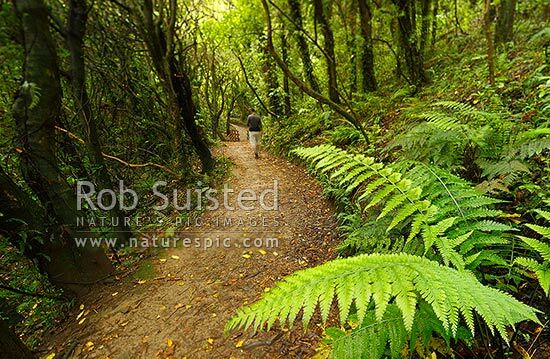 Northern Walkway, Khandallah, Wellington City District, Wellington Region, New Zealand (NZ), stock photo.